I asked my readers what gift cards they liked and many answered Target! 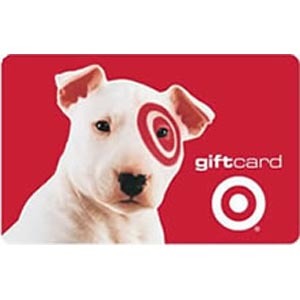 So now you have chance to win a $20 Target Gift Card from moi! This time I am making the required entry to be to follow me on Twitter (new or old followers are welcome!). I’m following on Twitter. User ID Auriette. I follow your blog through google friend connect.